1. Do You Get All Your Interest on Your Mortgage Back on Taxes? 2. How Much Money Am I Wasting on Mortgage Interest? 3. How Can I Get My Mortgage Interest Reduced? If you own a home encumbered by a mortgage, the interest you pay on your mortgage debt throughout the year may be used as a tax deduction. Tax deductions reduce your taxable income, which means that if you pay a lot of mortgage interest and have a high income, you could have a significant reduction in your tax bill. However, when the tax laws changed for the 2018 tax year and forward, the standard deduction was increased, which means fewer people will be itemizing. If you itemize your deductions, you can deduct mortgage interest paid up to a certain amount. This deduction will reduce your taxes by whatever percentage represents your marginal tax rate. Calculating tax savings from mortgage interest will depend upon your tax bracket and how much interest you paid. Tax deductions are amounts you can deduct from your income to exempt that portion from tax. A simple illustration is if you make $100,000 per year and you take $20,000 in deductions, you'll only be taxed on $80,000. You can take tax deductions for student loan interest, property taxes, gambling losses, charitable contributions and medical expenses if you meet the thresholds required for these deductions. If you add up all your deductions and use them when you file your taxes, you're doing something called "itemizing deductions." You'll need paperwork to back up all your deductions, such as receipts, statements or tax forms. If you don't itemize your deductions, you must elect to take the standard deduction, which is an amount that everyone can use. When the Tax Cuts and Jobs Act was signed into law in December 2017, the standard deductions were increased significantly. For the 2018 tax year, the standard deduction for a single taxpayer or a married taxpayer filing separately is $12,000. For married couples filing jointly and qualifying widows or widowers, the standard deduction is $24,000. For heads of household, the standard deduction is $18,000. The standard deduction is the right choice if your itemized deductions add up to less than the standard. Mortgage interest paid is one of the expenses you can use as a tax deduction. You will receive a Form 1098 from your mortgage company, which will show you all the interest you paid during the tax year. For 2018, you can deduct interest on your mortgage only if your mortgage was less than $750,000 (or $375,000 if you're married and filing separately). However, if you took out your mortgage before Dec. 31, 2017, that amount is $1 million ($500,000 for married taxpayers filing separately), which was the limit before the new law. The deduction is only available for properties used as a primary residence or as a second home; if you own multiple properties that you rent out to other people, you can't deduct the mortgage interest on those properties. Mortgage interest can only be deducted if you used the mortgage to buy, build or improve your home. If you refinanced out of your original mortgage to get a better interest rate, or if you took out a HELOC because you wanted to use the money to pay off a credit card, the interest is not deductible. Conversely, if you refinanced your original mortgage and used the extra money to make improvements to the house, or if you took out a HELOC for that purpose, the interest is probably deductible. You also cannot deduct mortgage interest if someone else paid it. Interest paid on a home equity loan or home equity line of credit may or may not be deductible. Prior to the law change, a HELOC not used to improve the home could still provide a mortgage interest deduction if it was $100,000 or less. However, since the Tax Cuts and Jobs Act was enacted, you can't take an interest deduction on a HELOC unless it was used to improve the home. This could be a renovation or remodel, or it could be putting an addition onto the house. If you used the money from the HELOC to go on vacation or pay off a student loan, even if you took the loan out before the law change, the interest is not deductible. Mortgage interest is one of the largest deductions available, and if you pay enough, it may exceed the standard deduction, either by itself or when combined with other deductions. However, this may not be the case, particularly if you're married. If you paid only $16,000 in mortgage interest in 2018 but you're married and you filed jointly, the standard deduction is $24,000. Your other itemized deductions would have to reach and exceed $24,000 before itemizing would be worthwhile to you. You purchased a home in January 2018 and used a mortgage of $400,000 to pay for it. You'll receive a Form 1098 from the mortgage company in early 2019 to use for your taxes. If the 1098 reports that you paid $16,000 in interest in 2018, that will be the amount of your deduction. Supposing that your top marginal tax rate is 32 percent, the deduction will save you $5,120 on your taxes (32 percent of $16,000). 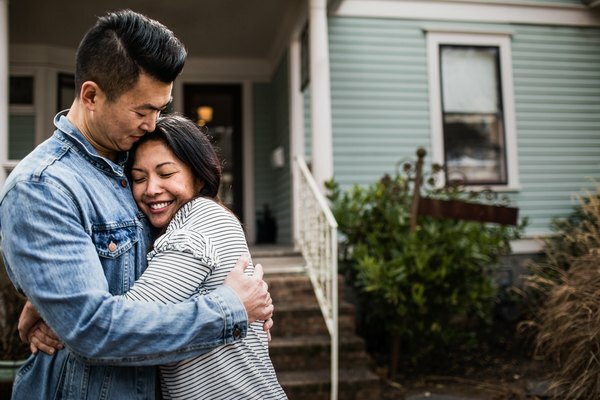 If you're single, you should itemize your deductions, because the standard deduction is only $12,000, and using the mortgage interest deduction will save you more. You buy a home in January 2018 and take out an $800,000 mortgage to pay for the home and pay $32,000 in interest in 2018. In this case, you'll only be able to deduct some of the interest. Any interest on the $50,000 beyond the maximum threshold of $750,000 will not be deductible. You'll need to discuss the issue with your accountant and figure out how much you can actually deduct, because the Form 1098 will not separate deductible interest from non-deductible interest - it only tells you how much interest you paid. You've had your home for many years, and your mortgage is only $200,000. However, you know your house is worth $300,000, and you have $100,000 in student loans you want to pay off. In January 2018, you refinance your mortgage to pull out the equity. The new mortgage lender loans you $300,000, of which $200,000 pays off the old mortgage and $100,000 goes to you. You use that money to pay off your student loans. Because the mortgage was not to purchase the house, build a house or improve the house, you cannot deduct any of the mortgage interest you pay in 2018. You have $100,000 in equity and want to use it to pay off your student loans, but instead of refinancing, you obtain a HELOC for $100,000. You give the HELOC lender a second mortgage and receive the $100,000, which you use to pay off the student loan. Your original mortgage is still on the property. In that case, you can still deduct the mortgage interest from your old mortgage, because you're still paying on it. The interest you pay on the HELOC, however, is not deductible, as it wasn't used for improvements. If your mortgage interest deduction drops you into a lower tax bracket, your tax savings will be smaller. For example, say you're only in the 25 percent tax bracket by $6,000 and you claim a $12,000 mortgage interest deduction. The first $6,000 of your deduction results in savings of 25 percent, or $1,500. But the last $6,000 would save you only 15 percent, or $900. So your total savings would be $2,400. The Tax Policy Center: What's the Difference Between Tax Deductions and Tax Credits? JPH Advisors: Can You Write Off Mortgage and HELOC Debt in 2018? Can I Deduct Mortgages for Three Houses on My Tax Returns? Can My Mom and I Share a Home Tax Deduction? Is Mortgage Interest an Above the Line Deduction? Can I Write off a Mortgage Insurance Premium Paid at Closing?